UPDATED: Dec. 8, 2015, at 11:32 p.m.
Tilghman, who was elected Sunday, will join in January the elite 13-member group, which is the oldest corporation in the western hemisphere. 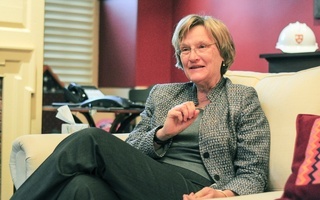 During her tenure as president of Princeton from 2001 to 2013, Tilghman expanded the school’s financial aid program, overhauled the undergraduate residential system, and created academic programs in the arts. “Her broad experience in leading one of the country’s great universities will bring fresh perspectives and beneficial knowledge to our consideration of Harvard’s opportunities and challenges at a pivotal moment for universities,” wrote University President Drew G. Faust and William F. Lee ’72, the senior fellow of the Corporation, in a press release Monday. 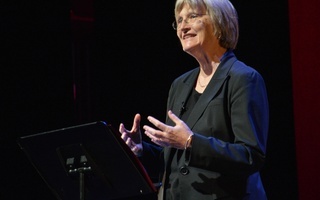 Tilghman will be the only Harvard Corporation member besides Faust and Nannerl O. Keohane who did not attend Harvard as an undergraduate or as a graduate student. 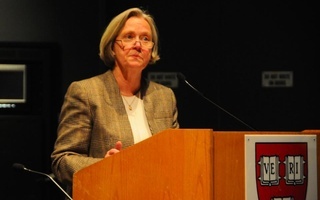 Still, Tilghman has ties to the University—she recently oversaw a comprehensive review of Harvard life sciences. Tilghman also received an honorary Harvard doctorate in 2004. “At this moment when there are so many challenging issues facing universities and colleges, I am very much looking forward to working with President Drew Faust and colleagues on the Corporation to help guide Harvard’s future course,” Tilghman said in the press release. Originally from Canada, Tilghman has been a longtime champion for university research. She is chair of the board of the Association of American Universities and also serves on the board of the Broad Institute at Harvard and MIT. In 2000, Tilghman also served on a committee to advise Faust— who at the time was dean of Radcliffe College— during its transition to the Radcliffe Institute for Advanced Study. Lee said in an interview that he thinks Tilghman’s experience at Princeton will be “invaluable” to Harvard. “As we address issues of race and diversity, which are critically important across the University, her experience in leading Princeton will be a great help to us,” Lee said. “Having someone with her background and her expertise join the Corporation, as we try to do our best to ensure that the collective Harvard community is doing the most it can in the life sciences, is critical,” Lee added. Tilghman replaces James F. Rothenberg ’68, a longtime Harvard adviser who died suddenly in July. —Staff writer Theodore R. Delwiche contributed to the reporting of this story. Skaters Lose, 9 to 2, Against Strong B.A.A. As the league seeks out higher levels of national exposure, it appears caught between two masters: the pressure to excel as a sports conference and the pull of tradition to maintain the status quo.